Gantrade, a global leader in sales and marketing of monomers, intermediates, and polymers, is proud to market Evasin™ to customers in the U.S.A. Also known as ethylene vinyl alcohol copolymer (EVOH), Evasin™ is a family of extrudable plastic barrier materials with excellent barrier properties for oxygen and a variety of other gases and volatile products (flavor barrier). Taiwan’s Chang Chun Petrochemicals (CCP) has developed high-performance EVOH grades for applications in food packaging and agricultural film sectors among others. 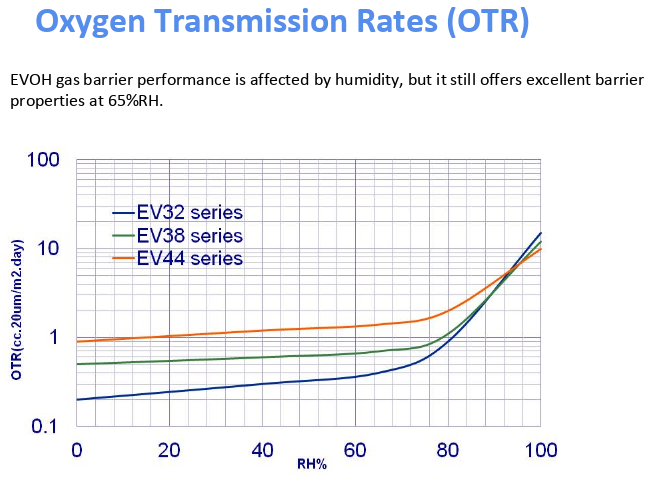 EVOH copolymer also has excellent chemical and oil resistance that enable it to be used as the fuel barrier layer in low emission fuel tanks for automobiles and portable gas containers. 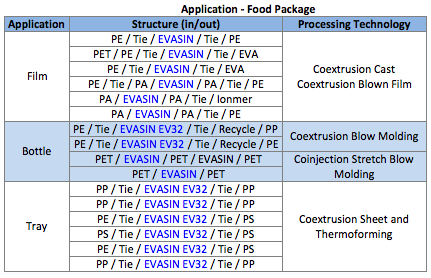 Based on its excellent gas barrier properties, manufacturers may coextrude Evasin™ with or laminate Evasin™ to polyolefin resins for food packaging and industrial applications. Users may process Evasin™ resins via conventional plastic extrusion and other fabrication equipment. EVOH resins exhibit rheological properties similar to other resins and can be coextruded with many types of polyolefins, nylons, polystyrene, polyvinyl chloride, polyesters, and thermoplastic polyurethanes. 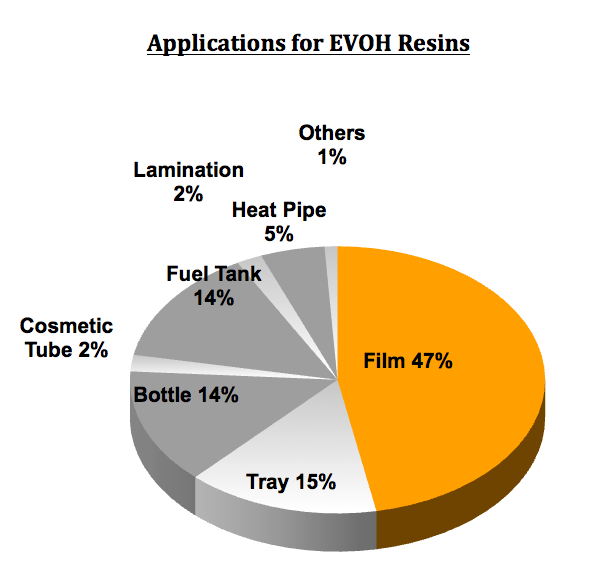 EVOH resins have very poor adhesion to most “non-polar” polymers, so manufacturers employ modified polyolefin adhesive resins, commonly called “tie resins,” to bond the EVOH layer to the adjacent layer in coextrusion. Polar resins such as nylons will adhere directly to EVOH without the use of tie resin. 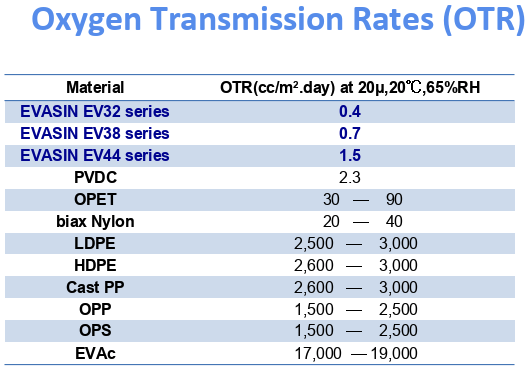 In comparison to most used, well-known thermoplastic polymers, EVOH – an environmentally friendly compound--combines unique properties, as outlined in the following graph. Evasin™ EVOH is extrudable and thermally-processable; films show high transparency, excellent gloss, and good printability. They are rigid but collapsible and also water and weather-resistant. 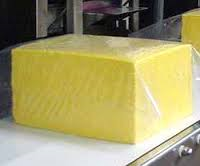 No other polymer reaches its excellent properties concerning gas barrier, flavor barrier, aroma and spice preservation, oil and solvents resistance and hygroscopic behavior. Users may process Evasin™ into film, sheets, tubes, or bottles for their excellent barrier effect against gases and organic liquids. The ethylene content of the polymer molecule influences this effect quite obviously, as seen from the figures in the table above. 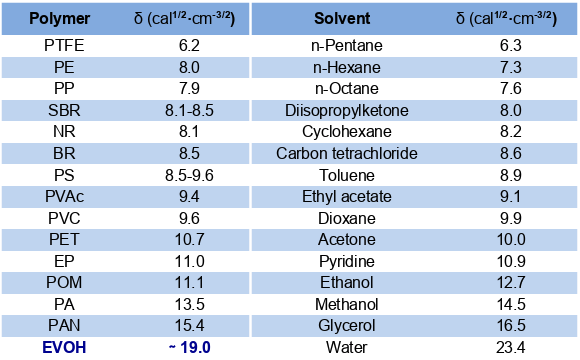 Ethylene contents more than 27 mole % are necessary to receive adequate water-resistance and insolubility on one side, as well as sufficient thermoplasticity for the demanded thermoprocessability on the other side. Higher levels of ethylene – up to 38 mole % - facilitate workability and do not influence the desired barrier effect too much. The Solubility Parameter (SP) of a polymer or solvent derives from the polarity of the (macro-) molecule and of its dependent hydrophilic/hydrophobic character. Only molecules with very similar SP values are directly compatible to each other. That means that as the miscibility of a polymer melts, the solubility of a polymer in a certain solvent or even the miscibility of different solvents is only possible if the SP-values of the partners are rather close together. 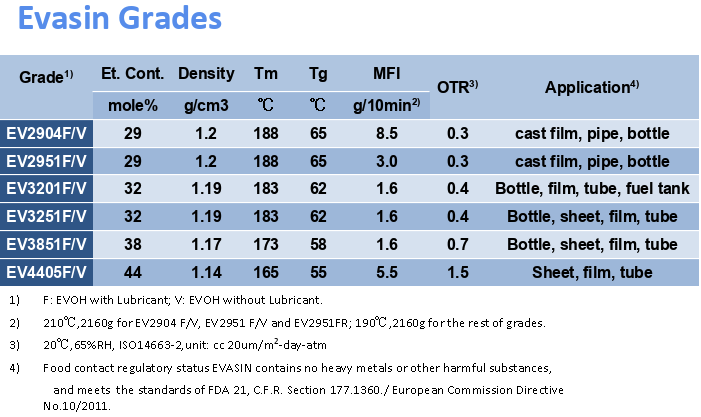 By comparing the parameters in the below table, it is easy to understand why it is necessary to use an intermediate adhesive layer, when EVOH films (SP = 19) are co-extruded e.g. with polyethylene (SP = 8.0) or polyethylene terephthalate (SP = 10.7). Such a necessary adhesive - mediating the compatibility of the different polymers - is technically called a “tie layer.” Those thermoplastic compounds are understood as “polymer surfactants.” Their chain contains polar, hydrophilic zones alternating or branched with strong hydrophobic sequences, ideal for the necessary interaction between the hydrophilic EVOH-layer on one side and the hydrophobic polymer layer(s), e.g. PE, PET, PP and so on, on the other side. The tie layer polymer is also generated by simultaneous extrusion. For a co-extrusion process, manufacturers must extrude two or more materials through a single die with two or more orifices arranged in a way that the hot thermoplastic masses merge and weld together into a laminar structure before chilling. Processors then feed each material to the die from a separate extruder, but they may arrange the orifices that each extruder supplies two or more plies of the same material. Co-extrusion can be useful in film blowing, free film extrusion, and extrusion coating processes. The advantage of co-extrusion is that each ply of the laminate imparts a special desired characteristic property, such as stiffness, heat-sealability, impermeability or resistance to some environment, all of which properties would be impossible to attain with any single material. 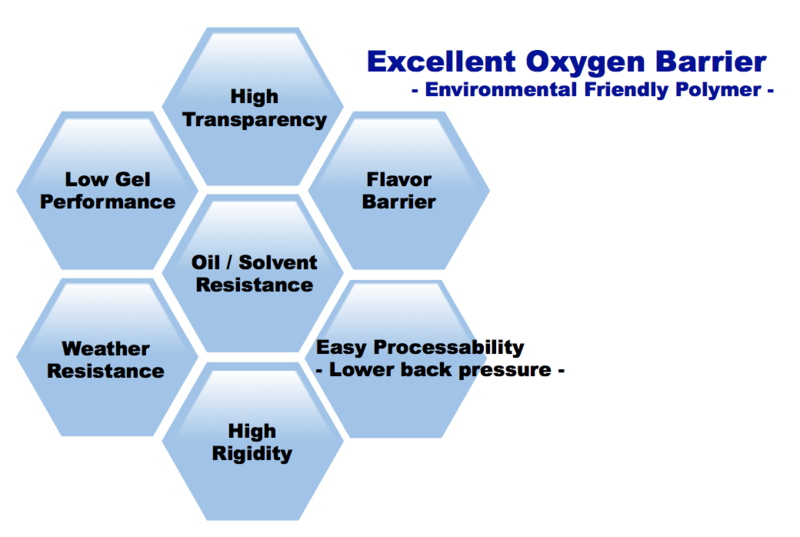 Manufacturers can apply EVOH with different kind of ethylene content in various barrier products by the fabrication process method of blown or cast co-extrusion, co-extrusion lamination, or co-extrusion coating to form bottles, sheet for thermoforming, films, cast films, pipes, tubes or fibers. The EVASIN™ EVOH family of extrudable plastic barrier material is ideal for a wide variety of applications, from the packaging of food to the storage of fuel. Built on an environmentally-friendly compound of EVOH, the EVASIN™ family of products is extrudable, thermally processable, and highly printable. 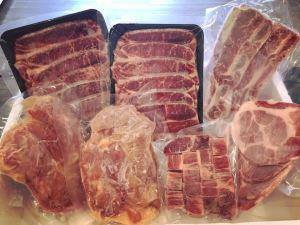 This versatile line serves as a gas and flavor barrier, while preserving spices and aromas. Call or email us for a comprehensive overview of Evasin™ EVOH. Contact Randy Altman, Sales Manager, at 201-675-2891 or raltman@gantrade.com.